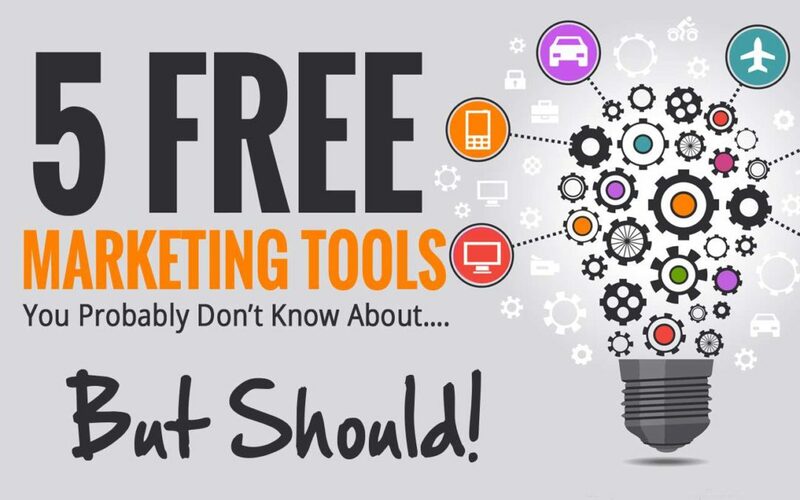 5 Free Marketing Tools You Probably Don’t Know About…But Should! You have a small business, and you are looking for a competitive edge to develop it. You want to market your products and services to establish yourself on the market. However, limited human resourcing, budget and time, what should you do? Fortunately, we are in the Internet era. There are great free marketing tools that small business can benefit from them. Each of 5 following “weapons” will help you get that competitive edge you want. - Do an analysis link and quickly identify which inbound links are leading to your site. - Analyze your competitors’ backlinks. It’s sure that nobody wants to read something with a boring name. Good content is necessary for posts or articles, and it’s for title too. An attractive title is the key to make people click and discover the article. Portent’s title generator is a free marketing tool for business, allowing you to come up with unique ideas for content. With a simple click on generating button, this free tool gives you title ideas that range from serious, shocking to downright hilarious titles. Have some fun with it, and even if you can't find the perfect title, you're bound to get the creative juices flowing. Keyword research is a cornerstone of any SEO campaigns. Therefore, it’s a good idea to use a tool which can help you generate multiple keywords ideas from a “seed” keyword by crawling data from big search engines, big e-commerce sites like Google, Alibaba, Bing, Fiver, etc. Now, it’s your turn to choose the most relevant keywords for your SEO campaign. And it’s also powerful to help you brainstorm content idea for blog posts or social media posts. Screaming Frog is a website crawler, which allows business to crawl URLs and gather online elements designed to evaluate SEO. - Finding and fix broken links on up to 500 pages. - Finding pages that are missing metadata. - Finding duplicate content at a URL level. - Checking your page titles and metadata to make sure they are optimized. Which topics are interesting? Which issues do people usually read? How can you find that? You need a useful free marketing tool that gives you questions and topics surrounding primary keywords. Which provides a quick and easy way to dial into what’s got people talking. Answer The Public's tool is entirely free and has become an integral part of our content strategy. We then try to answer as many of these questions as we can with our content. This way, when Google is looking at which websites have the best information regarding the topic, we're not only more likely to rank, but we also are more likely to convert visitors because we answer the most important questions they have. You can quickly create an excellent topic for your blog posts or article. These are only 5 of many online marketing tools you can use to boost your marketing efforts. If you use these you can free up money in your budget.